Is Daktronics, Inc. (DAKT) A Good Stock To Buy? The successful funds run by legendary investors such as Dan Loeb and David Tepper make hundreds of millions of dollars for themselves and their investors by spending enormous resources doing research on small cap stocks that big investment banks don’t follow. Because of their pay structures, they have strong incentive to do the research necessary to beat the market. That’s why we pay close attention to what they think in small cap stocks. 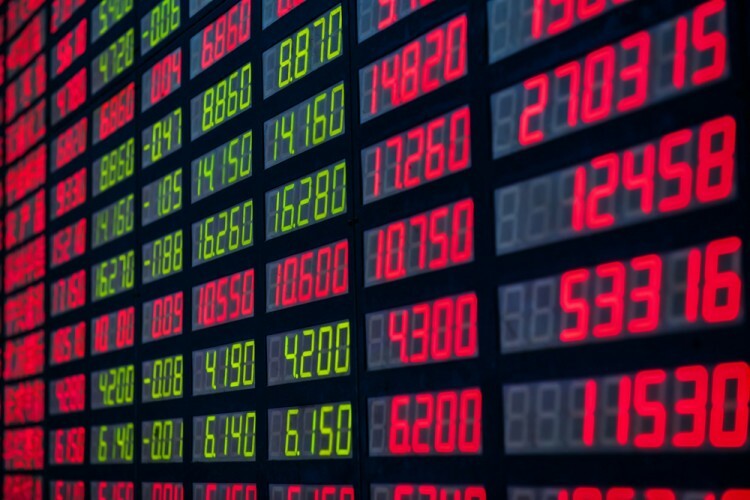 In this article, we take a closer look at Daktronics, Inc. (NASDAQ:DAKT) from the perspective of those successful funds. Is Daktronics, Inc. (NASDAQ:DAKT) a good investment today? Hedge funds are turning bullish. The number of bullish hedge fund positions increased by 5 in recent months. 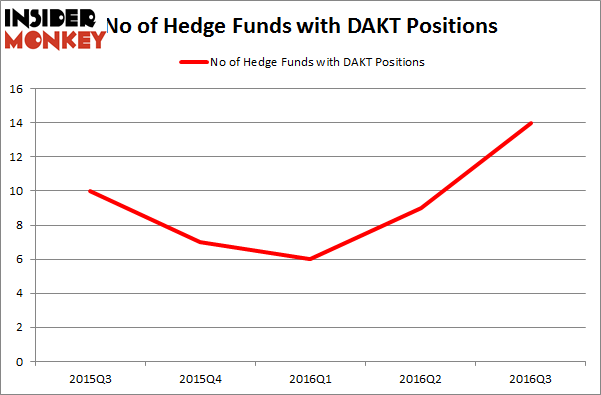 DAKT was in 14 hedge funds’ portfolios at the end of September. There were 9 hedge funds in our database with DAKT holdings at the end of the previous quarter. At the end of this article we will also compare DAKT to other stocks including Enzo Biochem, Inc. (NYSE:ENZ), JA Solar Holdings Co., Ltd. (ADR) (NASDAQ:JASO), and LSI Industries, Inc. (NASDAQ:LYTS) to get a better sense of its popularity. Now, we’re going to take a look at the key action surrounding Daktronics, Inc. (NASDAQ:DAKT). How are hedge funds trading Daktronics, Inc. (NASDAQ:DAKT)? Heading into the fourth quarter of 2016, a total of 14 of the hedge funds tracked by Insider Monkey held long positions in this stock, a change of 56% from the second quarter of 2016. By comparison, 7 hedge funds held shares or bullish call options in DAKT heading into this year. So, let’s see which hedge funds were among the top holders of the stock and which hedge funds were making big moves. According to publicly available hedge fund and institutional investor holdings data compiled by Insider Monkey, Royce & Associates, led by Chuck Royce, holds the largest position in Daktronics, Inc. (NASDAQ:DAKT). Royce & Associates has a $4.4 million position in the stock, comprising less than 0.1%% of its 13F portfolio. Coming in second is Millennium Management, led by Israel Englander, holding a $3.5 million position; the fund has less than 0.1%% of its 13F portfolio invested in the stock. Some other peers that hold long positions comprise quant hedge funds D E Shaw and Two Sigma Advisors, and Mario Gabelli’s GAMCO Investors. We should note that none of these hedge funds are among our list of the 100 best performing hedge funds which is based on the performance of their 13F long positions in non-microcap stocks.